Despacito Lyrics: English Title: "Slowly", is a single by Puerto Rican singer Luis Fonsi featuring Puerto Rican rapper Daddy Yankee. The song was written by Luis, Erika Ender, and Daddy Yankee, and was produced by Andrés Torres and Mauricio Rengifo. A remix version featuring Canadian singer Justin Bieber was released on April 17, 2017, which helped to improve the song's chart performance in numerous countries, particularly in the English-speaking world. Despacito Remix (Slowly) Lyrics: Here we are releasing English version lyrics, Spanish version Lyrics and Despacito in Hindi version Lyrics. 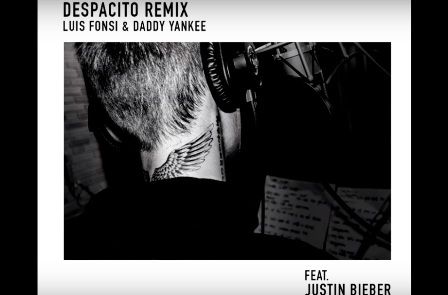 New version of Despacito released as Despacito Remix as title "Slowly" featuring vocals by Canadian singer Justin Bieber, who sang in Spanish for the first time in his career. The song maintained the original rhythms and Luis Fonsi translated some lines to English. It was the first collaboration between Luis Fonsi and Daddy Yankee with Justin Bieber. bas kar mujhko yun hi satana. jyada hi sabse badi bhej di. jo tujhko lage ki kabje me tere hai dil ye mera. jo tujhko lage ki chahat hai meri ye tere liye. I just wanna hear you screaming, "¡Ay, Bendito!"